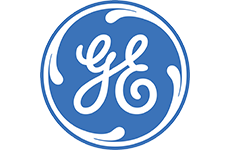 Looking for General Electric (GE) Switchgear? Get a quote fast. Choose GE for reliable, versatile switchgear. GE’s lineup of switchgear continues GE’s reputation of manufacturing and designing innovative electrical distribution solutions. Whether you choose GE medium voltage switchgear or GE low voltage switchgear, you’ll get the ultimate in electrical arc protection and durability. GE’s expertise in power distribution provides consumers with flexible and reliable switchgear that helps you get the most out of your devices and energy usage. Trust Bay Power for all your GE switchgear. For top of the line protection and reliable, consistent power distribution, choose GE switchgear. Bay Power is proud to carry GE’s lineup of low and medium voltage switchgear. Whether new, reconditioned or obsolete, we’ve for the switchgear that’s right for you. Keep your personnel, your devices and maintenance workers safe with GE switchgear.